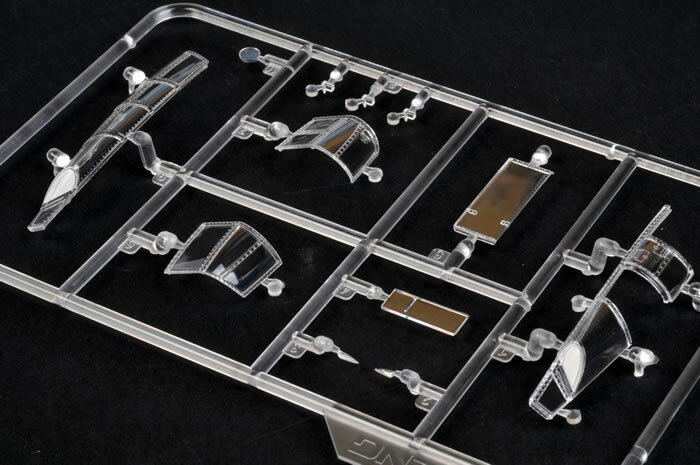 Contents and Media: 228 parts in grey plastic; 15 parts in clear; one photo-etched fret; markings for two aircraft. 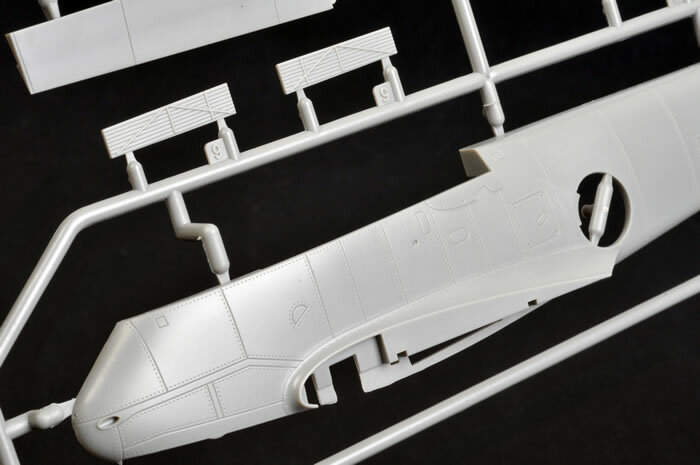 Advantages: Excellent mouldings; high level of detail including full engines and weapons bay; optional position rudder, elevators, landing flaps and ailerons; fine recessed panel detail; very clear canopy parts with raised roll cage moulded to the inside; high quality decals. 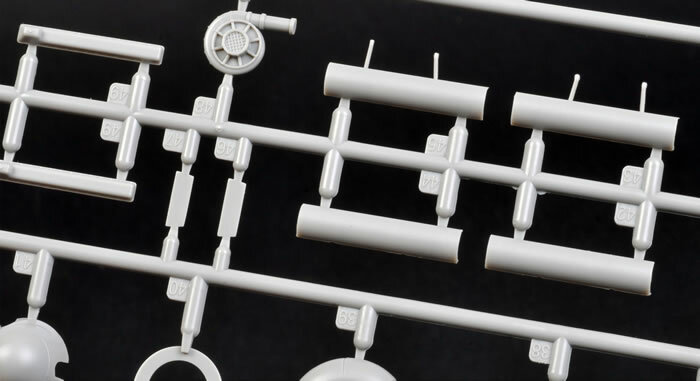 Conclusion: Meng's 1/48 scale Messerschmitt Me 410 is an impressive debut in this scale. Highly Recommended. 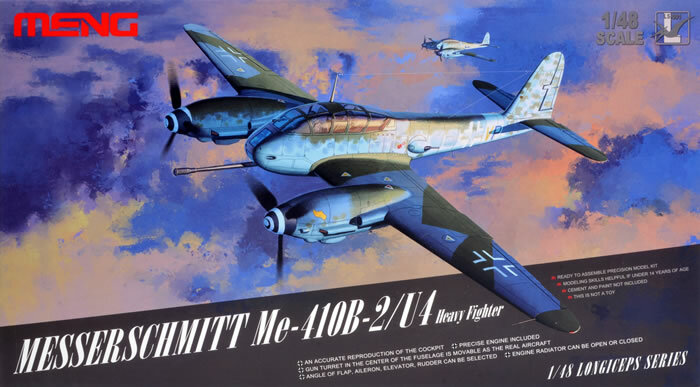 The Messerschmitt Me 410 was a direct development of the disastrous Messerschmitt Me 210. 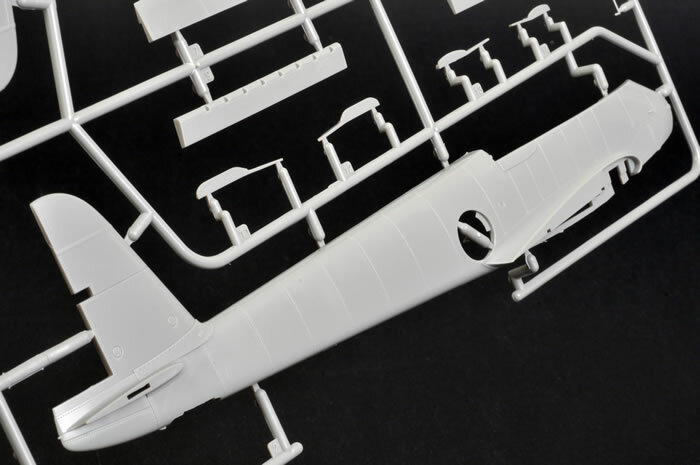 Meng Model has been expanding their catalogue over the last couple of years with some very impressive 1/35 scale military subject and 1/72 scale aircraft kits. 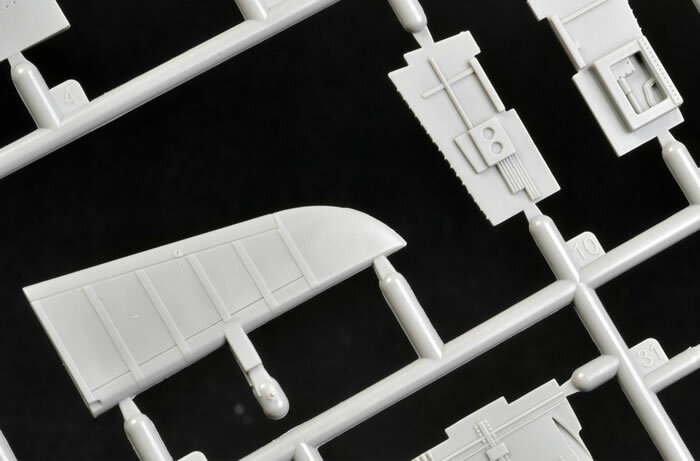 Meng has now made their debut in the scale of 1/48 with their all-new Messerschmitt Me 410 B-2/U4. This is the bomber killer version fitted with the powerful 50mm BK5 cannon in the lower weapons bay. 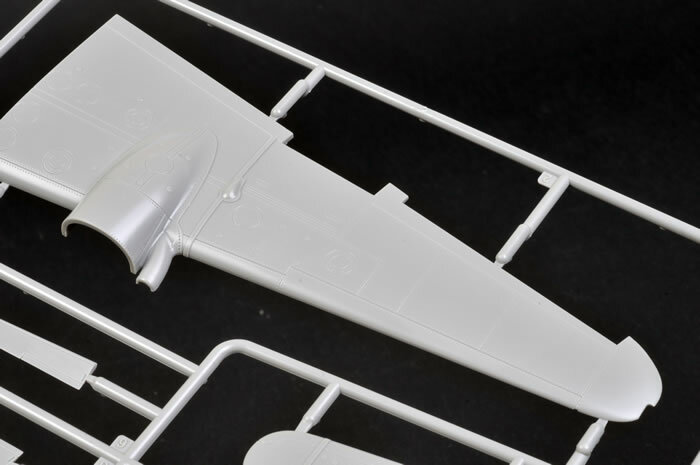 Meng's 1/48 scale Me 410 B-2/U4 comprises 228 parts in grey plastic, 15 parts in clear, one photo-etched fret and markings for two aircraft. 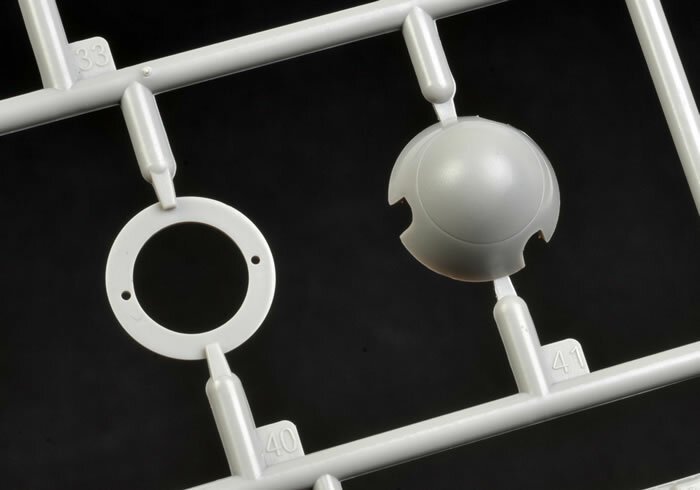 The quality of moulding is excellent - all that we have come to expect from Meng so far. 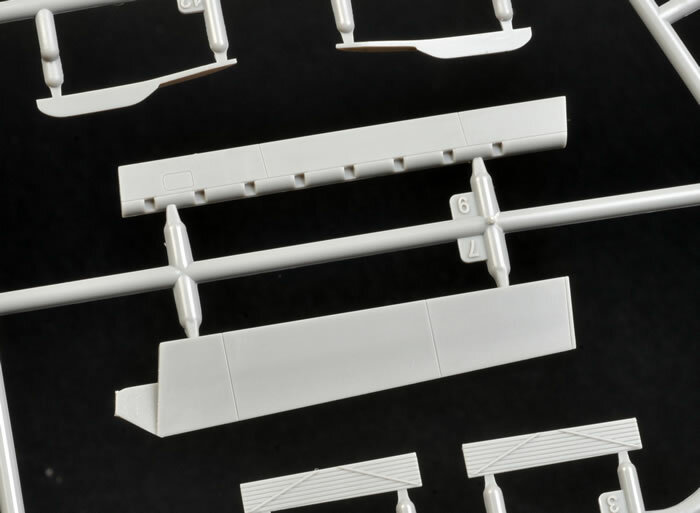 Surface detail is by way of finely recessed panel lines and selected rows of recessed rivets. 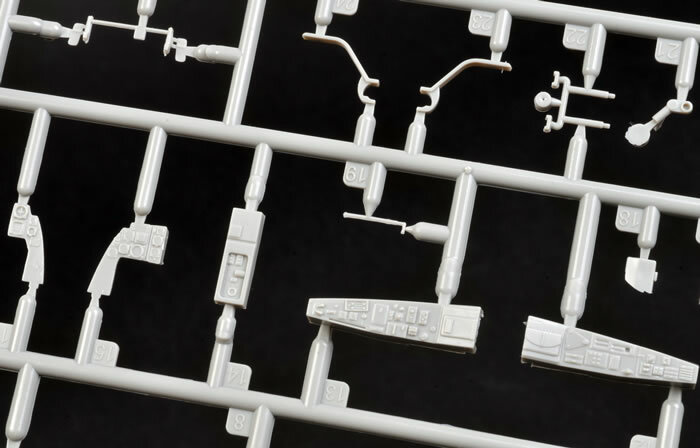 Interior detail for the cockpit, weapons bay and landing gear is excellent. The cockpit benefits from photo-etched harness straps. 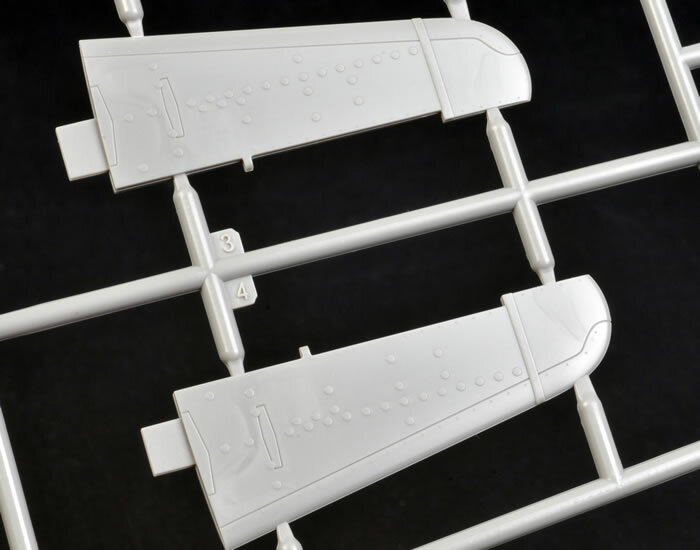 The instrument panel, side consoles and radios are treated to crisply raised plastic details that should respond well to careful painting. I especially liked the tiny flare pistol. 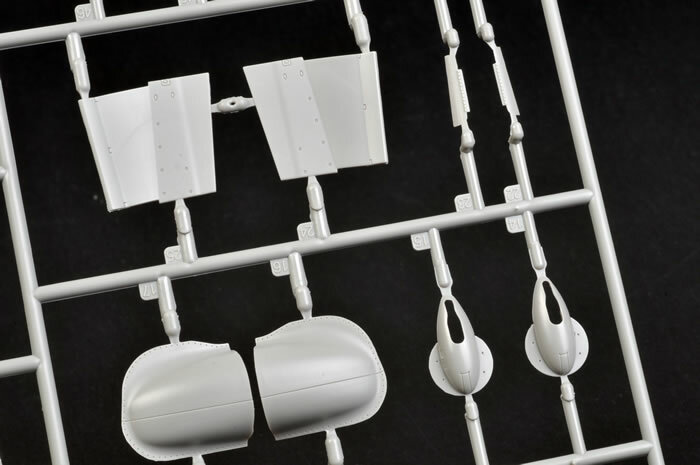 Two sections of the prominent roll cage are moulded as separate parts, while the rest is moulded as raised detail on the inside of the canopy parts. 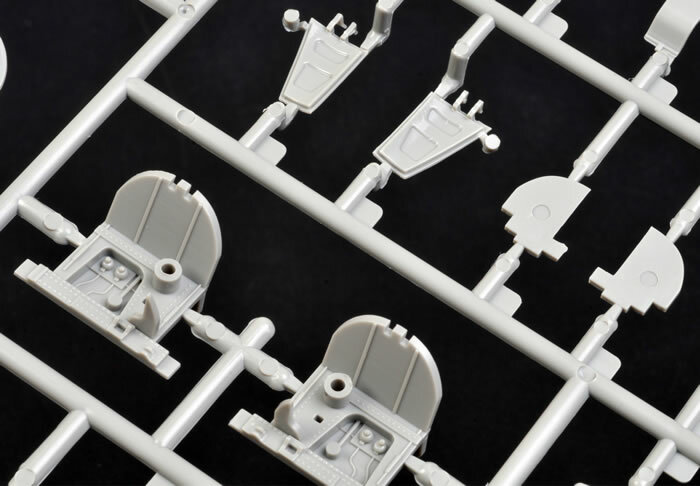 The upper weapons bay is fitted out with its four guns and ammunition chutes. The lower bay is specific to this model, and supplies the bulged fairing and the full BK5 50mm cannon and breech. 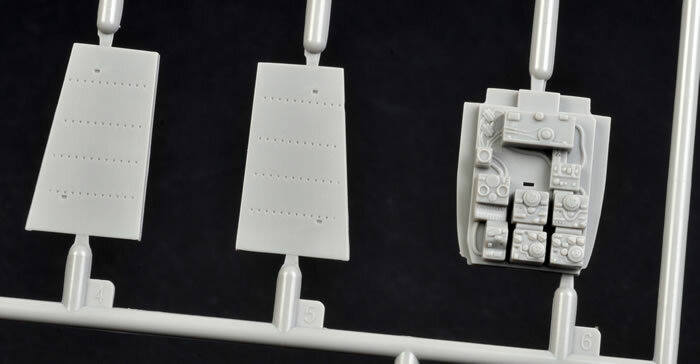 The remote barbettes on the fuselage sides rotate an the guns can elevate and depress. 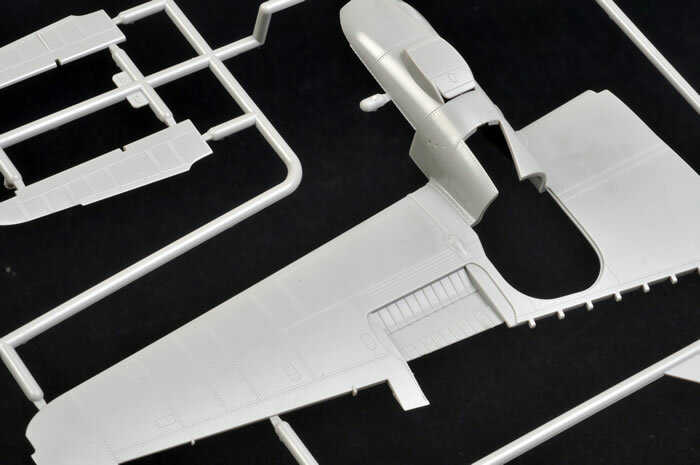 The rudder, elevator, ailerons and landing flaps are all supplied separately and may be posed neutral or deflected according to the modellers tastes. 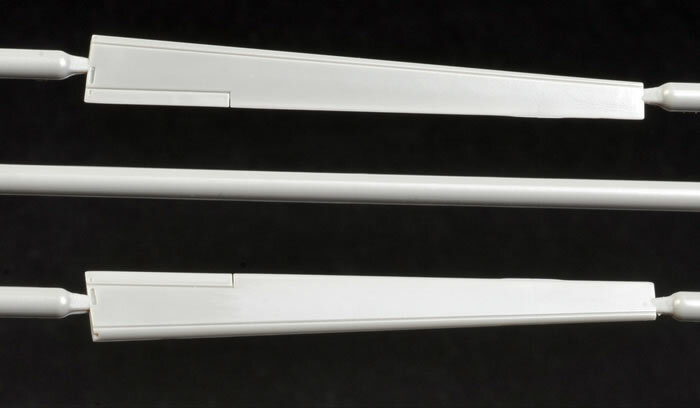 The upper radiator flaps are separate but the lower flaps are moulded as part of the floor of the radiator housings. 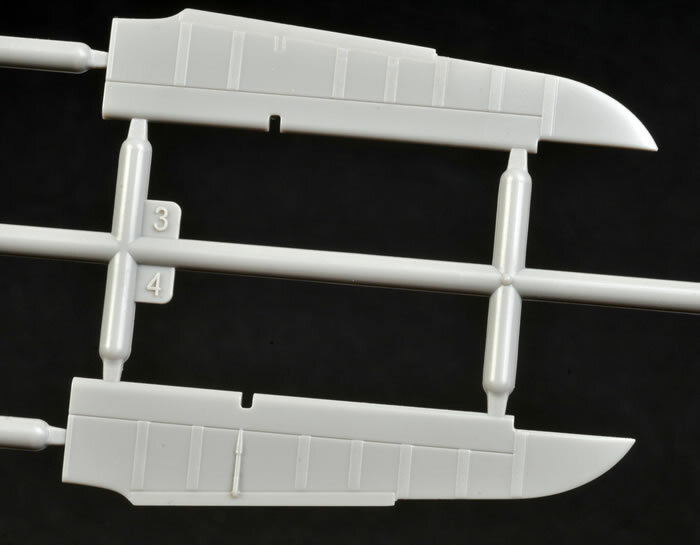 Even so, it would not be difficult to cut these lower radiator flaps free and scratch build some simple extended actuators if you wanted to display the radiator flaps open. Leading edge slats are moulded shut. Fabric control surfaces are finished with raised strips. If these are too prominent for your liking they may easily be sanded down to a less obvious level. 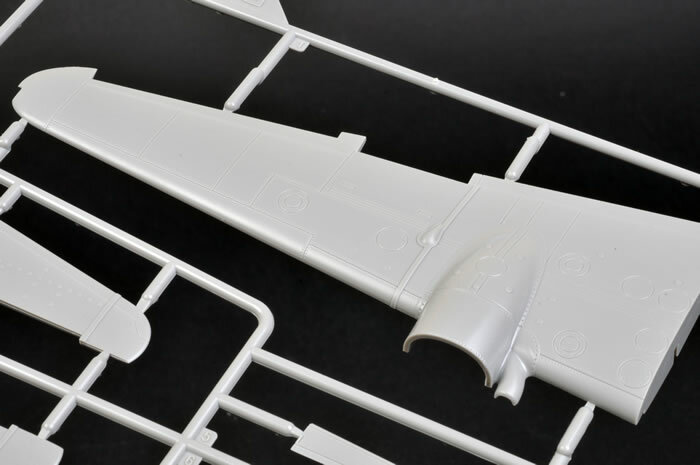 The raised circles on the horizontal tail surfaces could do with sanding too. Two complete engines are included. 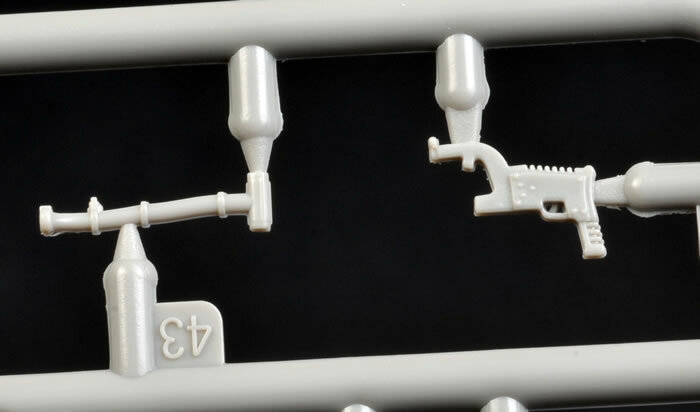 These are nicely detailed while being simple to build - only 23 parts each. The engines may be displayed by leaving the upper cowl parts off, or enclosed between the cowlings. 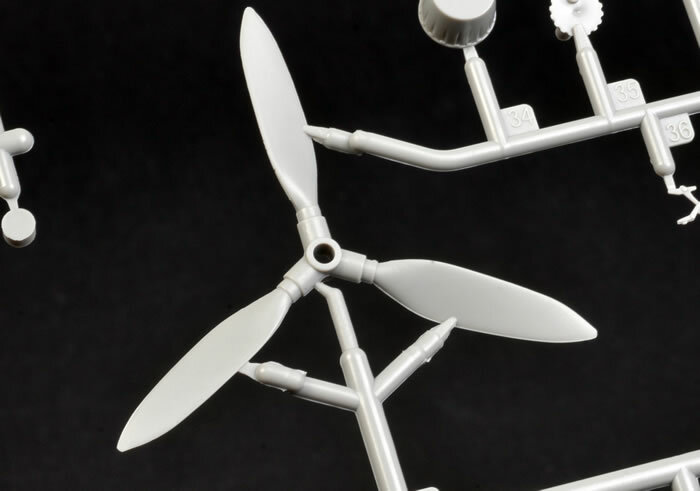 The VDM 9 propeller blades are pointy on the ends, but they should be more rounded. These should be sanded to a more appropriate shape; or aftermarket propellers are readily available as an alternative. The spinners look a bit squat on the sprues too. The wheels and undercarriage look great. By the way, the "Harburg" lettering on the sidewalls is not a mistake. The name of the tyre company is "Phoenix Gummiwerke Hamburg-Harburg". 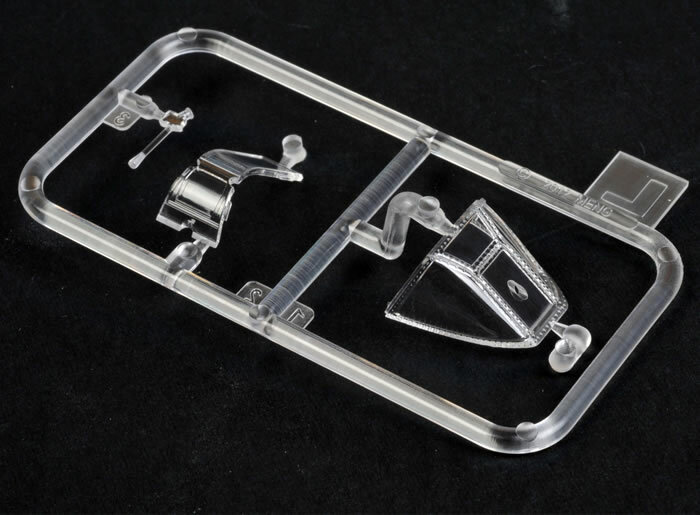 The transparencies are sparkling clear and thin. 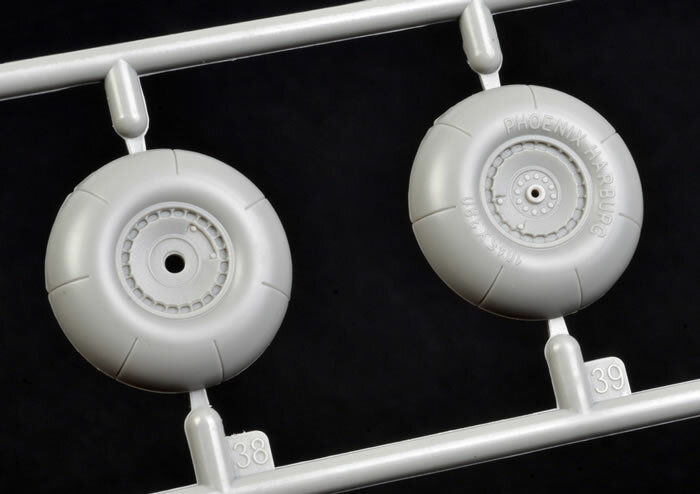 The pilot's and radio operator's hatches may both be posed open. 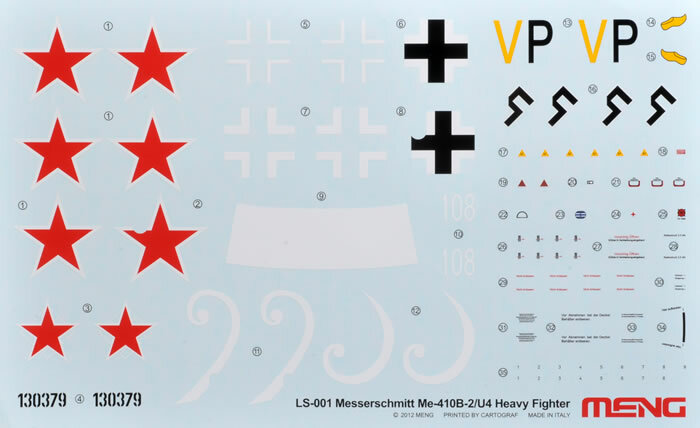 Stencil markings and two styles of spinner spiral decals are included too. Decals are in register and colours look good. 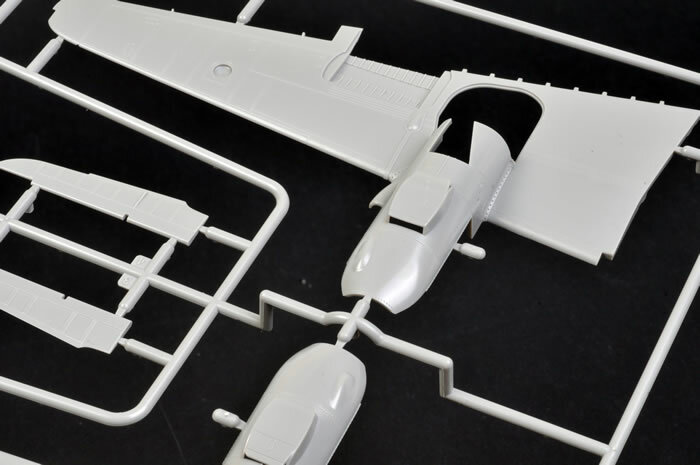 Meng's first entry to the world of 1/48 scale aircraft is impressive. 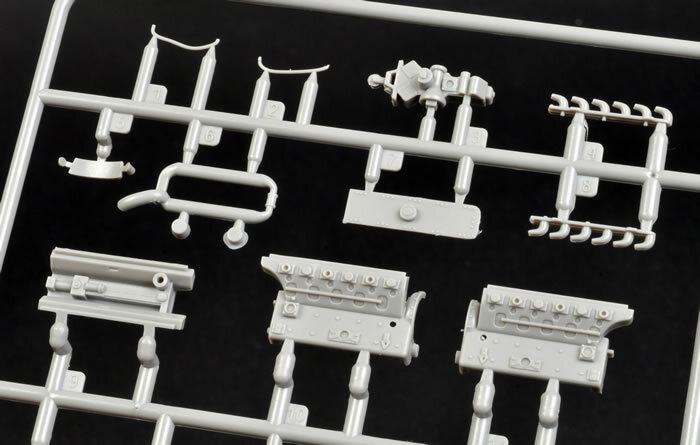 Their 1/48 scale Messerschmitt Me 410 B-2/U4 is well detailed with some nice features. 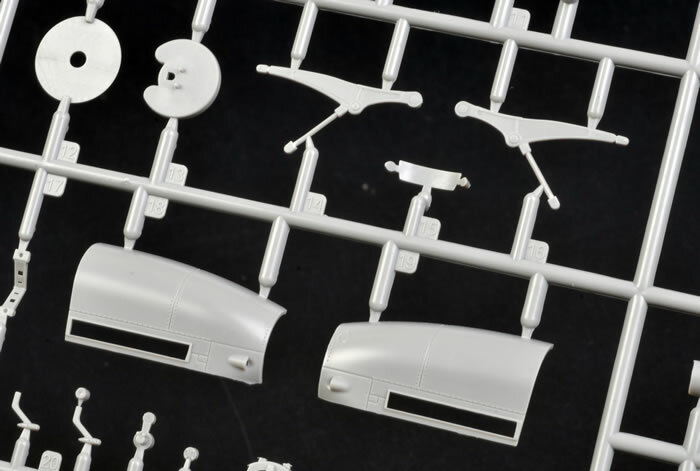 Comparisons with the Revell-Monogram kit will be inevitable. 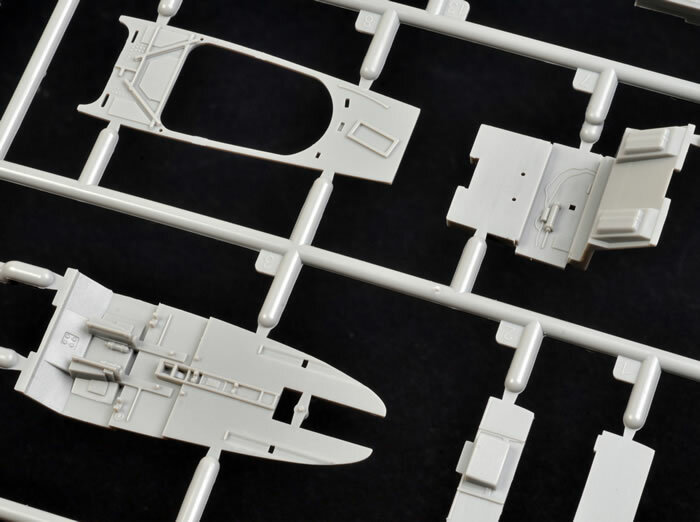 The main differences are the inclusion of two complete engines, poseable control surfaces and the fact that it is readily available! 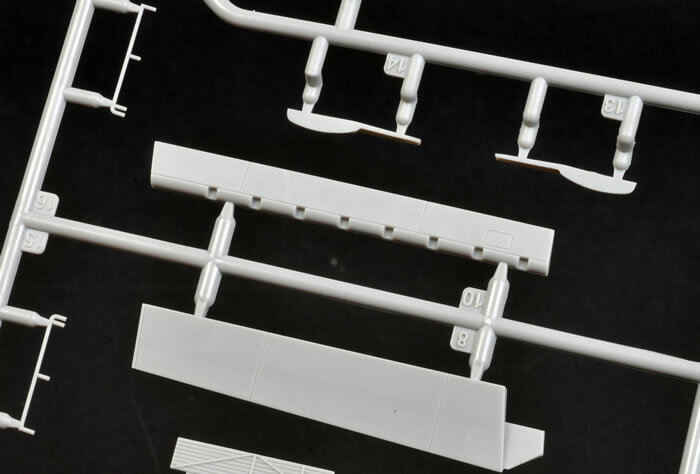 The Revell kit has a reputation of being fussy to build too, so it will be interesting to see how easily the Meng kit goes together. It certainly looks promising in the box. 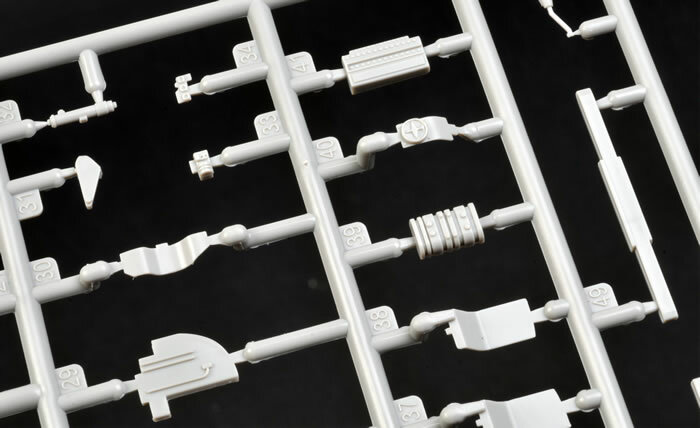 I will look forward to seeing what Meng has in store for us as their next 1/48 scale kit.